For anyone who has been following me on pinterest.com or has received a present from me in the past year or so, may have noticed my growing obsession with gift wrapping. Many of my gifts and mailed packages wrappings are recycled from brown paper bags, old greeting cards, yarn and anything else that stands still long enough for me to cut up. 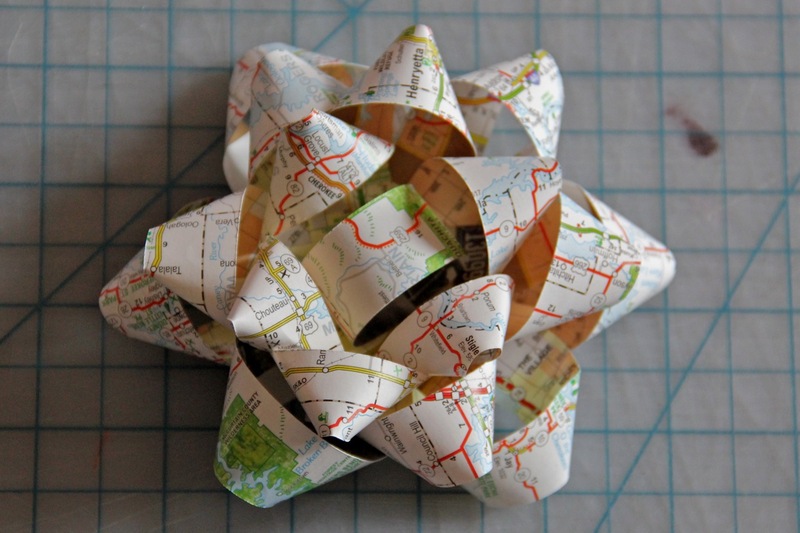 For the bow, I used a tutorial from Paper and Stitch blog to turn a left-over map from our road trip this summer (I don’t think we’re visiting Oklahoma again anytime soon) into a fancy-shmancy gift topping bow. 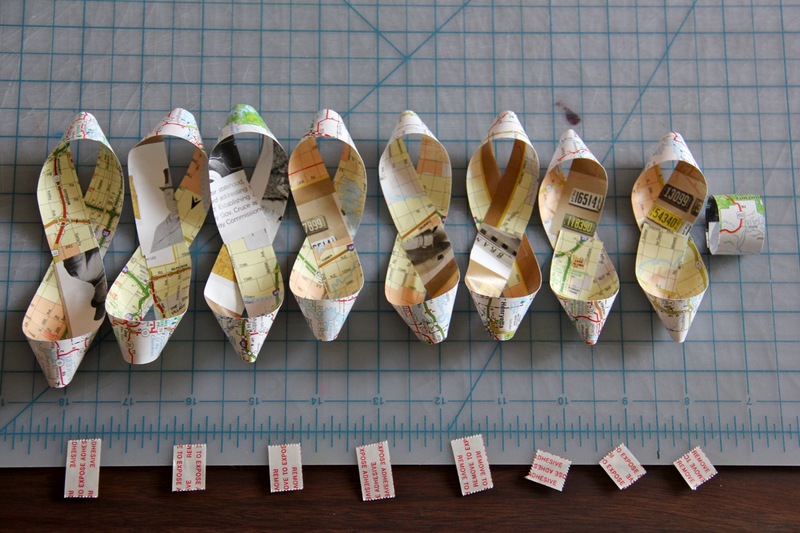 The map cut into 9 strips, 3/4" wide. I used 11" strips, and then cut off 1" for each length. 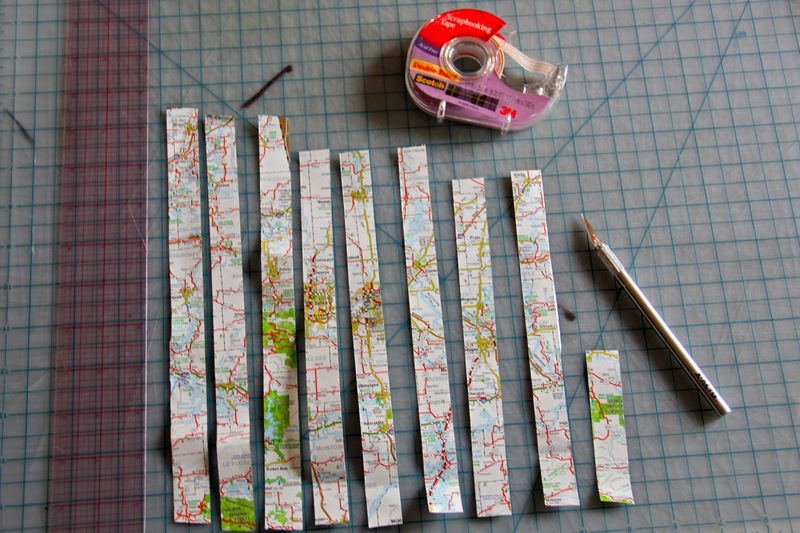 Turn all strips into figure eigthts and secure with tape. Turn the smallest strip into a closed loop. Stack the figure eights, starting with the largest ones and finishing with the small loop. Tada! This was fast enough that I can definitely imagine spending a few hours making an giant pile to slap on every gift I hand out. Maps, solid paper, music sheets, comics, magazines, old book pages, security envelopes, so very many options. This present was for Alana and Becca’s Pre-Wedding Party. 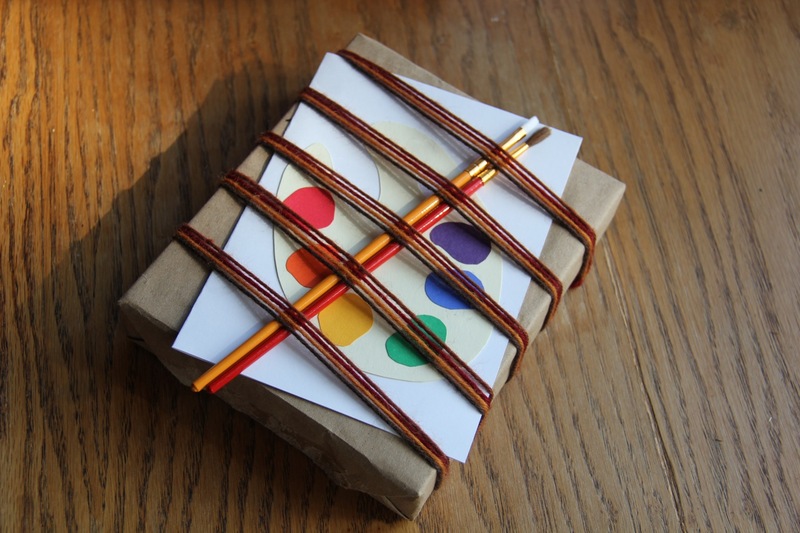 The gift was themed to go along with their planned Italian honeymoon, so I made a paint pallet card from scrapbooking paper, wrapped the entire gift with yarn from their chuppah-in-progress, and topped it off with two paintbrushes. When they visited yesterday, the yarn was swinging from their car’s rear view mirror. 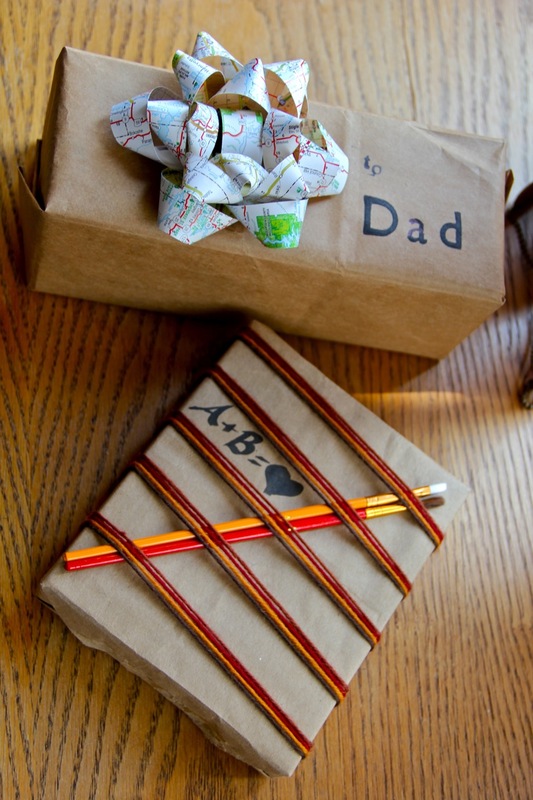 Alton Dulaney, 3M's 2008 "Scotch Brand's Most Gifted Wrapper"
Has anyone taken the Craftsy Paper Arts class yet? Or any other Craftsy classes? The Paper Arts class is discounted to only $20 this week….hmmm…..